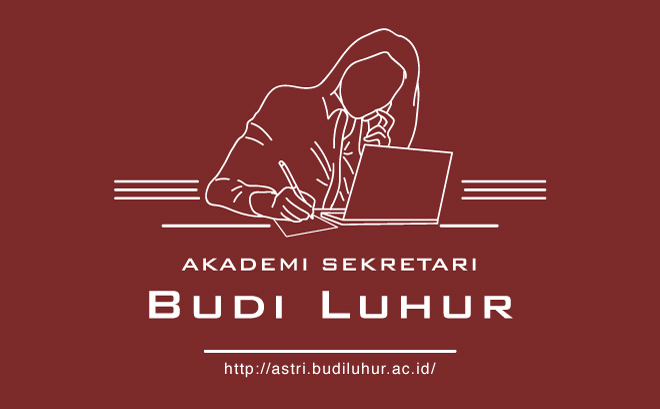 To support the learning process therefore producing competent graduates, Budi Luhur Academy of Secretary has a comfortable study room, air-conditioned room with first-class capacity of not more than 30 people. In line with the management’s commitment to implement a learning system based on information and communication technology, each classroom is equipped with learning tools such as LCD projectors and computers connected to the Internet, with the aim of faculty members and students can access the information needed to support an attractive and quality learning environment. Using Wi-Fi technology, faculty members and students can connect to the Internet in every corner of the campus which is a hotspot area. Equipped with the latest computer to support the lecturing programs, the provided computers always follow the development of technology, the Internet facility that at any time can be used by students. As a means of simulation for office implementation activities, the office laboratory is equipped with a variety of modern office equipment. With this facility, students are expected to know the atmosphere of the office environment, to be familiar and skilled to use office equipment. The facilities available in the Office Laboratory include: Facsimile, LCD Projector, Laptop, Meeting Tables, Filing cabinets, computers with internet facility, Typewriter Electric, Work Desk, Telephone, etc. By applying information technology in the office laboratory, each student can perform virtual meetings simulation. This laboratory serves as a means of simulation for secretarial activities implementation in actual working space, in which there are a variety of modern office facilities to support the administration activities of a secretary. The facilities available the secretarial laboratory include: Leader Work Desk, Secretary Work Desk, Reception Table, Photo Copy, Paper Shredder, Rotary Filing Cabinet, Facsimile, LCD Projector, Laptop, Meeting Desk, Filing cabinets, computers with internet facility, Electric Typewriter , Work desk, Telephone, etc. The laboratory serves as a means of implementing simulation activities of secretarial correspondence typing either manually or electronically. The library offers a wide variety of books collection, which is very adequate to support the secretarial courses. 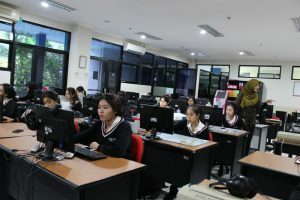 It is also equipped with a multimedia computer connected to the Internet that can be used by the student freely. Thus students can access information in order to expand their horizons.